Keystone Collection at Willowcreek in Auburn Hills Gated Enclave | Private Amenity and Master Plan Amenity | Three Homesite Sizes | Four Collections of Home Designs | Picturesque Trails and Pond Find yourself at home in Auburn Hills. Situated just north of Hwy 380 in McKinney, residents of the gated Willowcreek enclave will appreciate the relaxed lifestyle this master-planned community offers, while still enjoying convenient access to world-class shopping, dining and entertainment venues from Frisco to McKinney. It truly is the best of both worlds. From quaint antique shops and charming restaurants to unique parks and a vibrant arts scene, it’s no wonder so many people are looking for new homes in McKinney! Darling Offers:Seven two-story home designs with flexible optionsLiving spaces from approximately 2,900 to 3,800 square feetHomesites approximately 60’ by 120’ standardTraditional, English Tudor, and French Elevations This page is for the Willowcreek 60' homesites featuring the Keystone Collection of traditional single family homes. 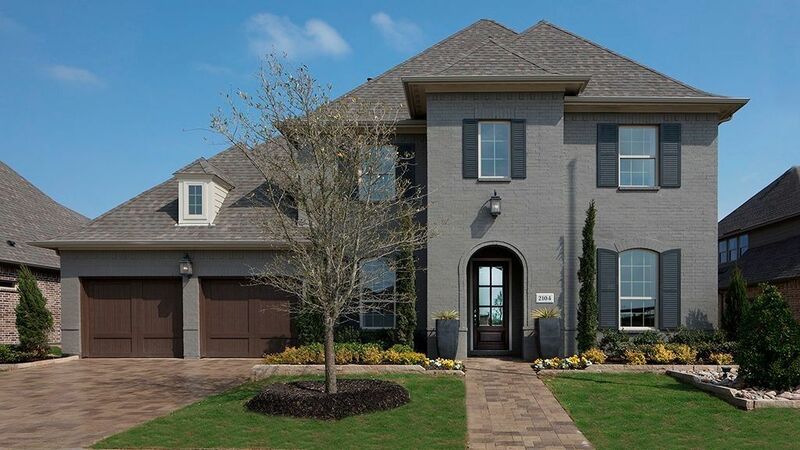 Schedule your tour of all 3 of our Willowcreek model homes in McKinney today! Click below to explore the other collections offered in Auburn Hills: Willowcreek 70' homesites featuring the Cornerstone Collection of traditional single family homes. Willowcreek 55' homesites featuring the Sanctuary Collection of patio homes and the Founders Collection of single family homes. Click Here to View Homesite Availability and More on Our Interactive Site Plan Take on Home Ownership with Confidence at Auburn Hills with our Rate Roll Back Home ownership is a big step, but Taylor Morrison is here to help with our Rate Roll Back. Get into your dream home for a dream rate and enjoy the stability and savings of a low 30-year mortgage rate.